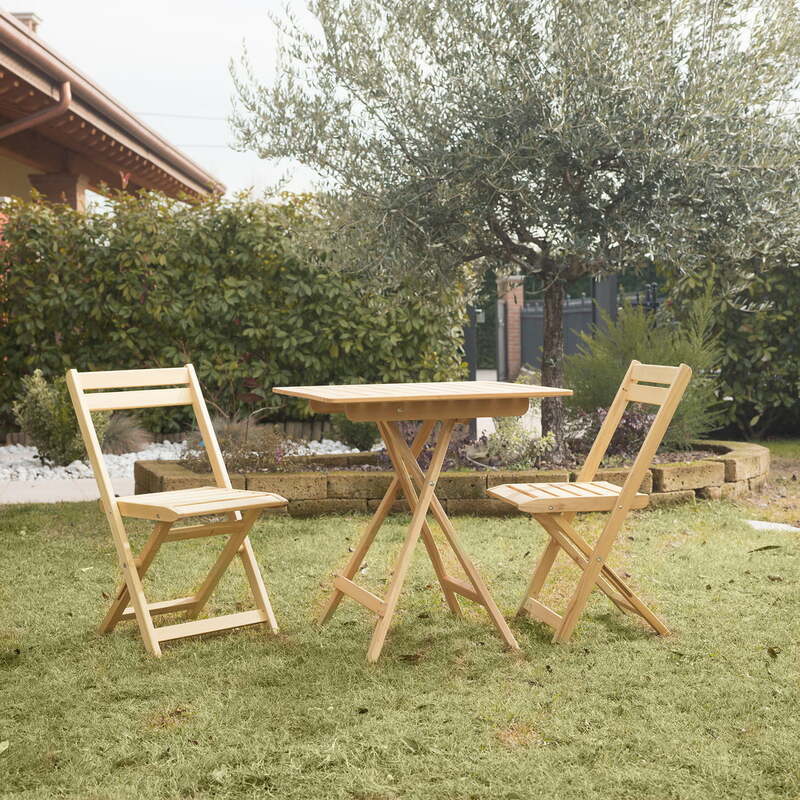 The Robin 70 Wooden Table from Fiam is a compact wooden table for the garden. Two people can enjoy a delicious breakfast in the garden or a cup of coffee in the afternoon. The small table can be set up in the twinkling of an eye. It can also be folded up just as quickly and stowed away to save space in winter. The Robin 70 Wooden Table measures 70 x 70 cm and is made of PEFC-certified Robinia wood, which comes from sustainable forestry. The wood convinces with its robust properties and is therefore particularly suitable for outdoor use. The table can be perfectly combined with the Marian Wooden Chair in Robinia wood, but can also be easily arranged with other Fiam garden chairs. The table was designed by Francesco Favagrossa. The table is also available in a larger version measuring 140 x 70 cm. Please note: Over time, the wood darkens a little. This is not a sign of poor quality, but a natural process. Robin 70 Wooden Table from Robinia by Fiam in single view. The Robin 70 Wooden Table from Fiam is a compact wooden table for the garden. 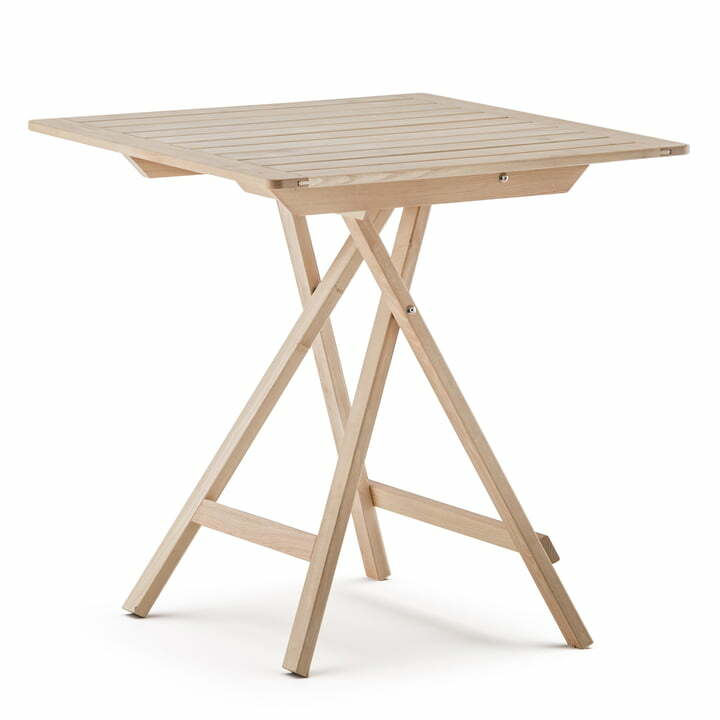 The folding table measures 70 x 70 cm and is made of PEFC certified Robinia wood. Marian Wooden Chair and Robin 70 Wooden Table by Fiam in the ambience view. The table can be perfectly combined with the Marian Wooden Chair made of Robinia wood.